Zucchini bread is one of my all-purpose standbys. It is so moist and delicious, perfect for when company stops over, and great for holidays to wrap up and give as a wonderful homemade treat. 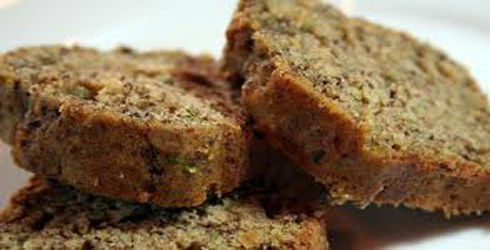 When making Zucchini Bread I like to use small loaf pans, where this recipe will make 4 loaves at a time. There is few things I enjoy more than baking. Making this Pumpkin Date Nut Bread recipe isn’t any different. Some people dislike baking because you have to be very careful to measure and use the correct amounts, truth be told, that is one of my favorite parts of baking. That, and baked goods are just super delicious. This Pumpkin Date Nut Bread is awesome! If you like any type of spice bread, zucchini or banana bread, then you must try this Pumpkin Date Nut Bread. The bread is totally moist, and has just the right amount of sweetness and spices to not be overpowering. Next time you find yourself wanting to bake, keep this Pumpkin Date Nut Bread in mind. Also, if you find that you have no ground cloves (like it did), you can substitute with ground allspice from the pantry. This Strawberry Bread has the flavor of summer, full of juicy strawberries, and if you like, you can add some chopped nuts (pecans or walnuts would be wonderful). It is delicious cut into thick slices, with or without a slathering of butter. Frozen strawberries allow you to make this bread any time of the year. If you have fresh strawberries available, go ahead and use them. Fresh local strawberries can really maximum flavor. 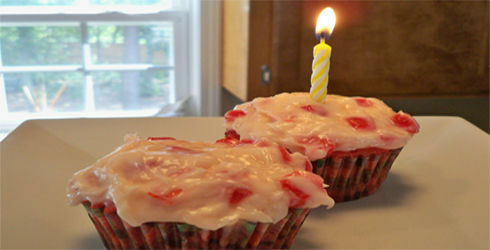 If you like, when cutting them into bite sized pieces, before adding them to the batter, you can toss the strawberry pieces in a couple tablespoons of flour, making sure they are completely coated. This will keep them from sinking to the bottom of the pan during baking. 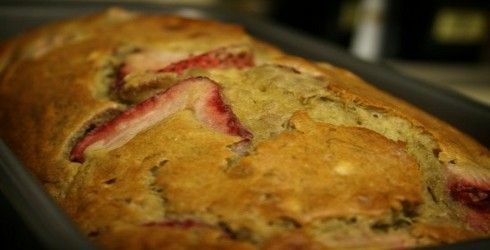 Strawberry Bread is a delicious way to use everyones favorite fruit. Our family loves this one.